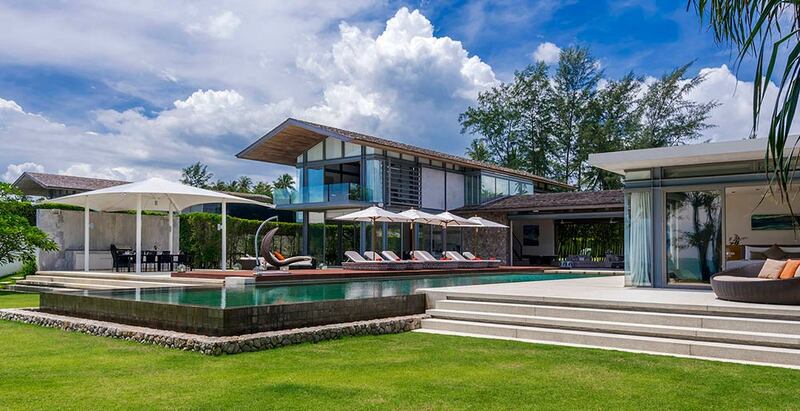 A spacious, contemporary, beachfront villa located on pristine Natai Beach, 30 minutes' north of Phuket airport, Villa Cielo offers a stylish tropical escape for discerning travellers. This luxury villa features 6 luxury bedroom suites, a chic living room facing a 25m private pool, indoor and outdoor dining, and a poolside party and barbecue area. The pool table, TV room with home theatre and direct beach access will appeal to adults and kids alike and Cielo is the perfect spot to host a wedding or other special event. Villa staff include a manager, housekeepers and a skilled chef.